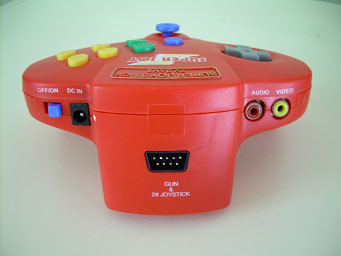 The not uncommon Super Joy III TV Game is surely one unique console. 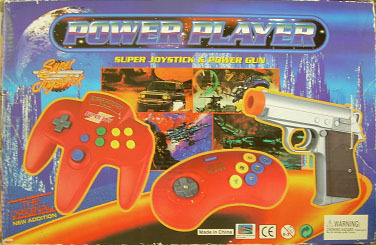 It comes with the console, a separate controller you can plug into the front of the controller-console, a light gun, an AV cord, and an AC adaptor that’s ready for 120V use. 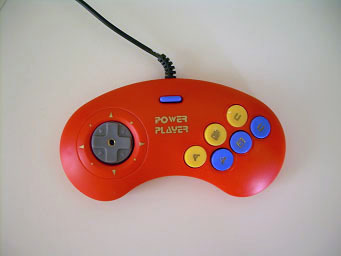 These types of consoles are usually referred to as “Plug ‘N’ Plays,” because they have games loaded into them that are ready to play without any sort of cartridge. Heck, you might have seen one of these Super Joy III’s before — they’re just about everywhere, including eBay and flea markets. You may wonder how reliable this console would be. Maybe you noticed: MADE IN CHINA. And if we know anything about Chinese toys, it’s that they’re cheap and sometimes poisonous. Before you give up on this controller-console, take note of one more thing. The Super Joy III comes with 76,000 games preloaded! Yep, that’s right — 76,000. And I kid you not…the makers of this controller-console actually loaded a list of 76,000 games, you can scroll through hundreds of screens, seeing every game. Of course, 76,000 games were never made for the Famicom. How many games are actually on this controller? Well, it’s tough to say without actually scrolling through and selecting to play every game on it. There are a lot of name variations of the same games (such as “Exerion QEE” and “Exerion FHJ”). Just guessing, there appear to be about 60 different games preloaded. Included is Contra, Super Mario Bros., Burger Time, F1 Race and Tetris, to name a few. There’s a game on there called “Monkey” and some interesting names, like “Toy Story” and “Tekken,” which have nothing to do with the known Toy Story and Tekken unlicensed original games. And just so you know, not even the preloaded games work well. 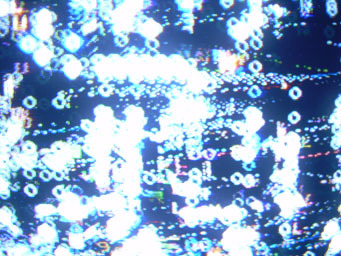 There are glitches, and sometimes the screen just freezes. 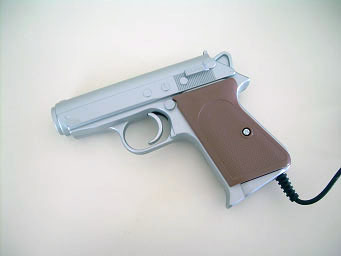 The console also comes with a pistol-looking light gun and an extra controller! While Famiclones range in price from $10 to $50, don’t pay but pennies for this piece of crap. 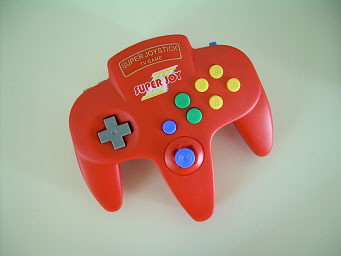 The Super Joy III controller-console. 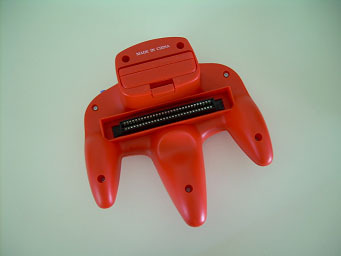 Where the cartridge is attached. 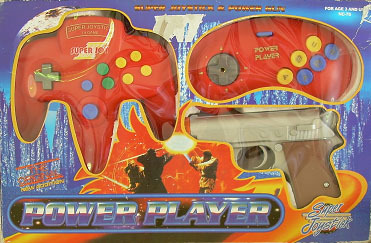 Where you plug in a controller or light gun.